Almost two-thirds of Texans think state lawmakers should expand Medicaid to cover more low-income uninsured people, according to a survey funded by the Episcopal Health Foundation. Carol Marley wants everyone to know what a life-threatening cancer diagnosis looks like in America today. Yes, it's the chemotherapy that leaves you weak and unable to walk across the room. Yes, it's the litany of tests and treatments – the CT scans and MRIs and biopsies and endoscopies and surgeries and blood draws and radiation and doctor visits. Yes, it's envisioning your funeral, which torments you day and night. But none of these is her most gnawing, ever present concern. President Trump instructed administration officials Wednesday to investigate how to prevent surprise medical bills, broadening his focus on drug prices to include other issues of price transparency in health care. Flanked by patients and other guests invited to the White House to share their stories of unexpected and outrageous bills, Trump directed his health secretary, Alex Azar, and labor secretary, Alex Acosta, to work on a solution, several attendees said. 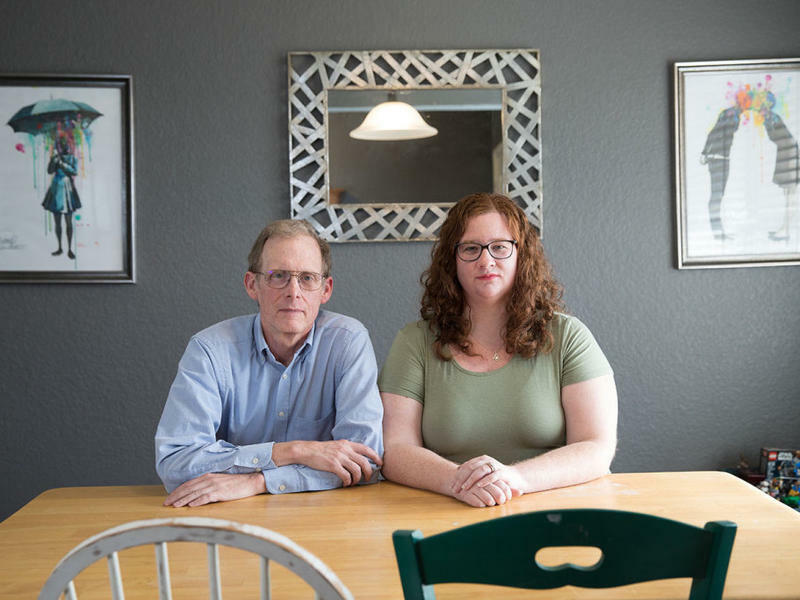 Faced With Surprise Medical Bills, Some Texans Have Recourse. But The System's Not Perfect. 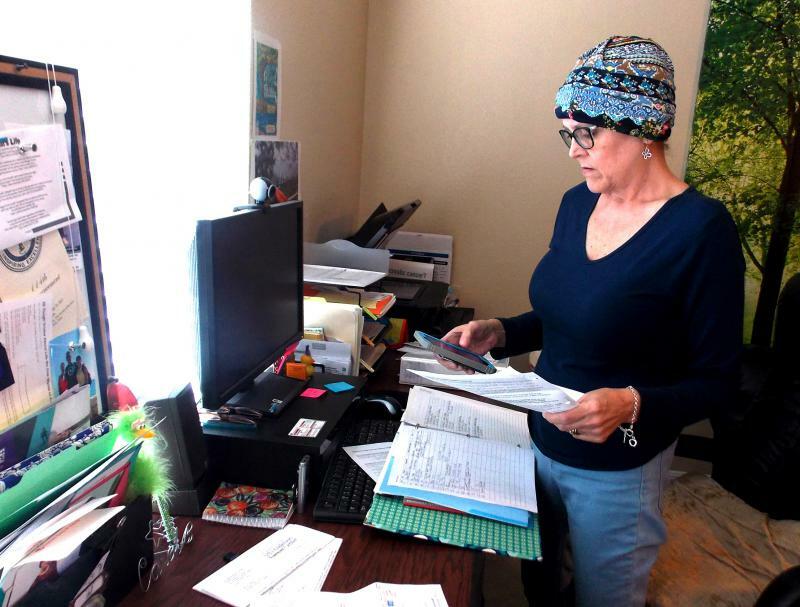 A growing number of Texans are turning to a little-known state mediation program to deal with surprise hospital bills. However, the program is likely only addressing a fraction of the surprise medical bills Texans receive in the mail every year. Abbott Said He'd Offer Texans An Alternative To Obamacare. Here's What That Means. Soon after a federal judge ruled Friday that the Affordable Care Act was invalid, Gov. Greg Abbott told The Dallas Morning News that Texas would create its own health care system if the decision is upheld. More than 1 million Texans signed up for health insurance plans through the Affordable Care Act during the enrollment period that ended the day after a federal judge ruled the law is invalid. That's almost 40,000 fewer sign-ups than during the last enrollment period. Editor's note: Shortly after this story aired, Rodriguez said St. David's reached out to him to discuss possible financial assistance. According to Rodriguez, the matter has been settled and he now owes only $1,600 as of Nov. 14. There’s an uptick in health insurance companies not covering emergency room care, according to a consumer advocacy group. Washington, D.C.-based Consumers for Quality Care said the increase is the result of the Trump administration pushing less regulated health care plans in its effort to undo protections created by the Affordable Care Act, also known as Obamacare. Travis County commissioners have decided to push back a decision on whether Central Health should shut down its nonprofit health insurance company, known as Sendero. They said they will wait to vote until there is a public hearing. The Trump administration recently announced big cuts to a program that helps people sign up for health insurance through the Affordable Care Act, also known as Obamacare. Whenever there’s a medical emergency the very first thing on one’s mind – especially if they’re insured – isn’t typically how much the bill could be. It’s to get help as quickly as possible, then deal with the cost later. Almost the same number of Texans who signed up for health insurance through the Affordable Care Act (ACA) during the last enrollment period signed up this time, according to the federal government. The figure took experts by surprise because there were federal cuts in funding for outreach and assistance. It’s been a week since open enrollment began for insurance under the Affordable Care Act, and groups in Austin say they are experiencing a surge in sign-ups. Health care activists were concerned that new policies from the Trump administration – including budget cuts for outreach and navigators – would lead to a drop in enrollment. As Senate Republican leaders reveal another version of their plan to repeal and replace the Affordable Care Act, taking politics out of the health care picture may be just the medicine needed. Political noise aside, the fact remains that health care costs are still too high, and many individuals can’t afford coverage. Experts say the political debate is essentially moot until the financial barriers to care are sorted out. Republicans in the U.S. House of Representatives took another stab at repealing and replacing Obamacare on Thursday, passing the American Health Care Act. More than 1.2 million Texans are signed up for health insurance through the federal marketplace. That’s the part of Obamacare that allows companies to sell plans directly to individuals. Under the GOP replacement bill working its way through Congress, there could be big changes to how the government helps these individuals pay for their plans. With talk of Republicans in Congress repealing the health care law in the coming months, this could be the last time the health insurance marketplace, created under the Affordable Care Act, can offer Texans insurance. The enrollment period for the federal health insurance exchange ends Jan. 31. For many Texans who don’t get their insurance through an employer, this has been an affordable way to get a policy in the state for the past few years. But if the Affordable Care Act is repealed, this could be the last year it’s an option. Texas' rate of uninsured people fell to 17.1 percent in 2015 as part of a steady decline in the share of uninsured residents following the implementation of the Affordable Care Act, according to new Census estimates released Tuesday. The state's rate of uninsured fell two percentage points from 2014 to 2015, but Texas still has the highest percentage of people without health insurance in the country. Texas is also home to the largest number of uninsured people in the country with about 4.6 million uninsured residents. Saying they now have new information that significantly changes the case before them, the Supreme Court justices sidestepped a constitutional decision on the latest Obamacare challenge and sent the government and the religious organizations back to the drawing board. 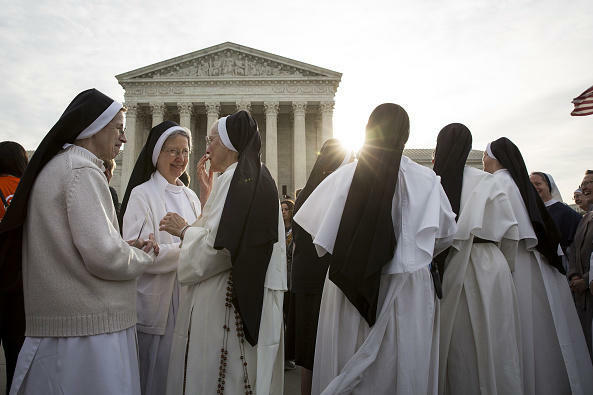 In a unanimous decision, the court said it was not deciding the central question in the case: whether Obamacare's contraceptive mandate substantially burdens some organizations' right to exercise their religion. Pregnant women are among the large number of people who are part of Texas' large uninsured population. For some women, that means they won’t see a doctor until late in their pregnancy. That’s why Dell Medical School at UT Austin – in partnership with a group of community health clinics – has launched a project aimed at changing the way women in Travis County get prenatal care. Enrollment for health insurance under the Affordable Care Act is underway. If you’ve ever shopped for insurance, or had insurance, you know this involves lots of technical terms that might be confusing. The rate of Texas residents without health insurance has dropped slightly but continues to outpace every other state, according to early figures released Tuesday by the U.S. Census Bureau. One challenge many homeless people face is fighting addiction. And that battle could get tougher for some, as an Austin nonprofit that helps people recover from addiction has closed its detox facility – meaning new hurdles for the homeless and uninsured who need detox services. This month, nonprofit Austin Recovery closed its detox facility. The detox process isn't pretty – in fact, it can be rather dangerous. Patients needed to be monitored around-the-clock by highly trained medical staff, just as if they were in a hospital setting. President Barack Obama’s decision to allow insurance companies to continue offering policies that would be canceled under the Affordable Care Act has an unclear effect on Texans. In an announcement today, the President said he is leaving it up to states and state insurance commissioners to decide if consumers can keep these plans through 2014. In a written statement, Texas Governor Rick Perry said the decision makes a bad situation worse, by creating more confusion for consumers. John Davidson with the Texas Public Policy Foundation agrees. A push to get people to buy health insurance through the federal marketplace has included plenty of visits from federal officials. Last week, President Barack Obama told an audience of volunteers in Dallas that affordable health insurance is a pretty big deal in this state. "There’s no state that actually needs this more than Texas," President Obama says. One of the big promises of the Affordable Care Act was that encouraging insurance companies to compete to sell their health plans would drive down prices. Here in Austin, people who choose to buy health insurance on the federally-run health insurance marketplace have dozens of plans to choose from. Texans in many rural parts of the state will find far fewer. But they're not necessarily more expensive than in urban parts. Take Loving County. It's pretty rural. According to the Census Bureau, just 71 people were living in this West Texas county in 2012, down from 82 in 2010.